Sigrid E. (?) married Leroy William Houghton, son of James W. Houghton and Selina Nygard. Helen M. (?) married Earle Eldridge Houghton, son of Wilbur Brown Houghton and Lulu Elbridge. Edna (?) married Harold E. Kreisel, son of August L. Kreisel and Bertha M. Bohn. (?) Reed married Helen E. Houghton, daughter of Lee Earnest Houghton and Helen A. Brooks. Marciano Hernandez married Sophie Clarice Lobo. Joseph Grizzanti married Cheria Houghton, daughter of Grant Roosevelt Houghton and Agnes Irene Sheehan. Anthony I. Messana married Delores Houghton, daughter of Grant Roosevelt Houghton and Agnes Irene Sheehan. Walter E. Harsen married Mildred Alice Houghton, daughter of Royal Edward Houghton and Margaret A. Oliver. Thomas Price married Anna Matilda Lore in 1849. 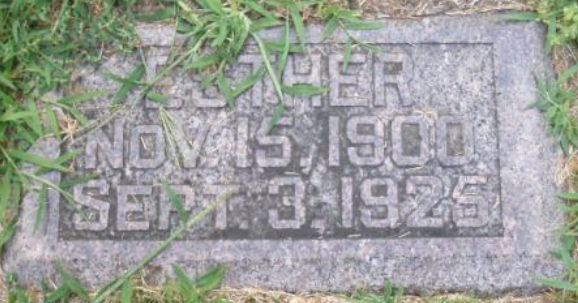 Cyrus B. Carpenter married Anna Matilda Lore in 1871. Esther V. Gilmore married Walter Elsworth Houghton, son of Elmer Elsworth Houghton and Jane Erickson. Mabel Irene Rau married Walter Elsworth Houghton, son of Elmer Elsworth Houghton and Jane Erickson. Joan (?) married Donald H. Houghton, son of Henry S. Houghton and Eveline C. Hargraves, in circa 1953. Susan Houghton married Harold Abeln. Harold Abeln married Susan Houghton, daughter of Donald H. Houghton and Joan (?). John Aro married Marion Margarite Houghton, daughter of Andrew Jacob Houghton and Ida E. Wilson, in circa 1925 age 23 and 20.